Over the last decade, cinema-going audiences have had the treat of numerous adaptations of popular young adult novels. Some of them have been particularly great – the Harry Potter series the highlight – whilst others have been less than stellar – Twilight, I’m looking at you. However, with The Hunger Games on the edge of its tantalising conclusion, director Phillip Noyce introduces teens and adults alike to a whole new world in The Giver, but can it seduce audiences which have already had numerous fantasy worlds to enjoy? For the most part, yes. Noyce directs this adaptation with extreme visual flair and commands some great performances from the veteran actors, even if the young thespians pale a little in comparison. The Giver follows a community dealing with the aftermath of a brutal conflict. The Elders (people in charge) have been forced to eradicate all feelings, emotion, colour and memories from the past to ensure that this doesn’t happen again. Unfortunately, the plan isn’t fool-proof and one person each generation must be tasked with storing information from the past to ensure the progression of the future. The book’s intriguing premise brings a striking visual translation. The majority of the picture is shot in black and white which adds to the emotionless atmosphere – just how The Elders want it. Meryl Streep plays the Chief Elder and despite her limited screen time manages to command each scene she is a part of – though we have come to expect nothing less from the woman who played Margaret Thatcher so beautifully. Jeff Bridges is the title character – The Giver, who manages to impart wisdom to the one teenager each generation. The teenage characters, despite their constant presence on screen, lack the magic and sparkle of their older counterparts. Brenton Thwaites stars as The Receiver Jonas and is probably the best of the younger stars, though a decent turn by True Blood’s Alexander Skarsgard helps alleviate the offerings somewhat, and there’s even a small role for Taylor Swift. Despite it’s reasonably small budget of $25million compared to The Hunger Games $78million, the special effects are all of a decent standard. Of course there’s a few lapses here and there in areas were most people would probably never notice, and a few larger issues involving unrealistic space ships – but there isn’t too much to criticise as the striking cinematography is were the eyes are drawn. Overall, it’s easy to feel sorry for The Giver, it’s come at an awkward time when audiences aren’t ready to get invested in another young adult movie and therefore I predict its box office success will fall short of the quality of the film itself. 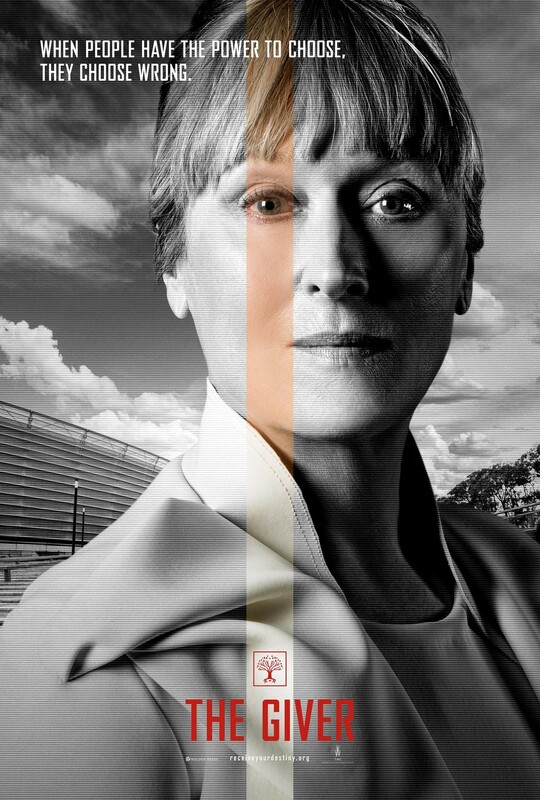 The acting is on the whole very good and it’s nice to see Meryl Streep getting her teeth into the role of a villain in a style similar to her role in The Devil Wears Prada, but it all feels a little unsure of itself. Is it a sentimental rom-com or a utopian thriller? Who knows, but it’s definitely worth a watch for the striking visuals alone. Overall: A beautifully shot if forgetful fantasy film. Good review Adam. This movie angered me so very much. Ruined a favorite book of mine, too. I can’t wait to see Meryl in this! Excellent review, Adam!